This is my fourth novel, which was published at the end of June 2013. The story is set in Wales in pre-Norman times. This unusual and gripping novel deals with a time period that few writers have explored. In 1039 the Welsh defeated a huge Saxon army at the Battle of Rhyd-y-Groes. The Celtic forces were led by the charismatic Gruffyd ap Llewelyn, King of Powys and Gwynedd. 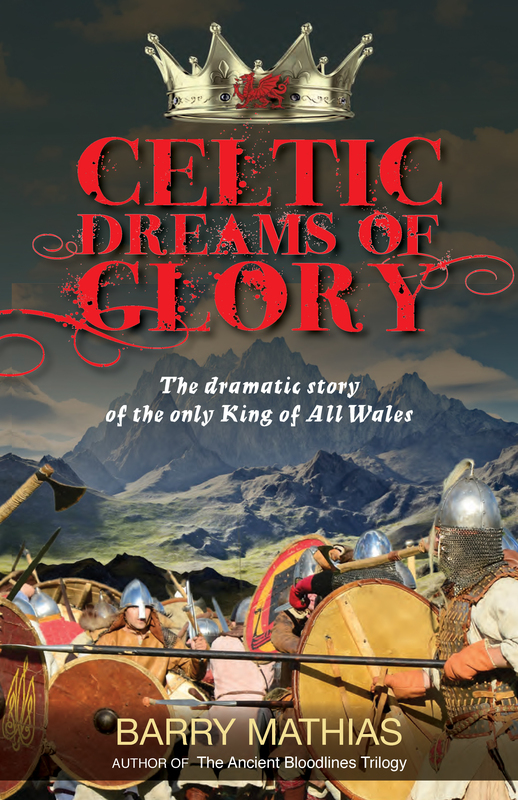 The story follows the battles and personal triumphs of his gradual rise to become the first and only King of All Wales in 1057, and embraces the lives of his two greatest supporters, Gwriad and Dafydd, the sons of the famous General Cydweli. The novel accurately portrays the poverty and aspirations of the Welsh people, the stark beauty of their landscape, and brings historical relevance to the rise and fall of Wales’ greatest King. Amid the plotting of the Welsh nobles and the bloody battles with Saxons, Gwriad and Dafydd remain loyal to their King. They marry unusual women, rise to great importance, but are unprepared for the sudden and awful reversal of their dreams. This entry was posted in My Novels and tagged Fiction, Historical fiction. Bookmark the permalink.